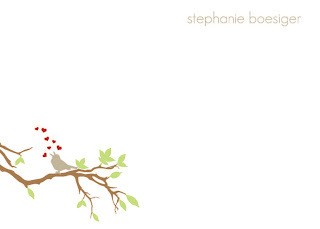 A best seller, this little birdie is just as cute as they come! Printed on white, 60 lb. cover stock. Packaged with ribbon and pen. Printed on ecru, 60 lb. cover stock. Click Here: Let's Be Facebook Friends! Check out some of my favorite ideas and recent projects on my Facebook page! Thank you for taking a look at my paper designs. I love designing print and hand-made paper goods and these images are just a sample of what I have been up to lately. See something you love? Want to personalize it with your favorite color combination, font, playful words or monogram. Just send me an email and we will get your order started! 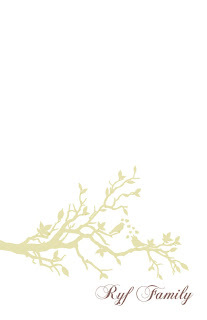 Keep Sincerely, in mind for your stationery needs, invitations, party paper goods and gifts! Thank you for being part of something that brings me sincere joy! Questions. Orders. Want to share a sincere moment. Send me an email at marceystone@yahoo.com. Telling someone you love them. Snuggles in the middle of the night. Belly laughter, when it comes from way deep down! My daughter reaching up to hold my hand.